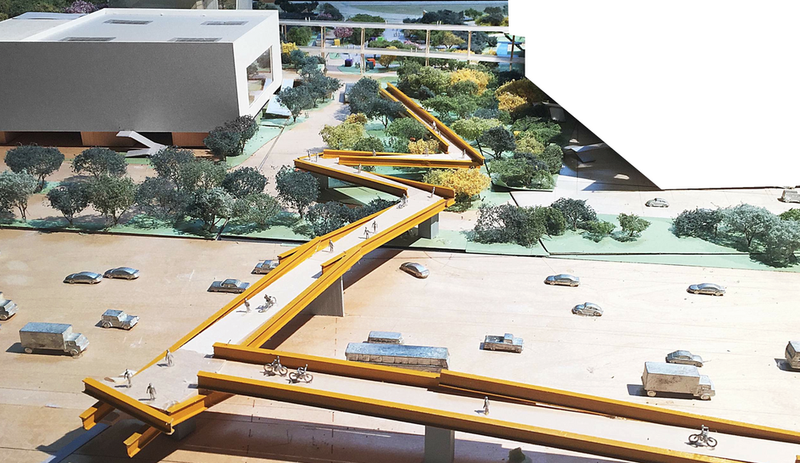 In 2012, Frank Gehry and Mark Zuckerberg posed for a series of photos that sealed their intertwined fates: Gehry, arguably the world’s most famous architect, would design a new campus for Zuckerberg, arguably the world’s most powerful not-lizard person. Surely with all this money and talent coalescing like a hunk of molten aluminium, Facebook’s new HQ would garner universal “Likes.” Instead it’s more “Sad” than “Wow”. The first phase of Gehry’s masterpiece opened last year, boasting one of the largest single-room office spaces in the country. After all the build up, the finished product was anticlimactic at best. 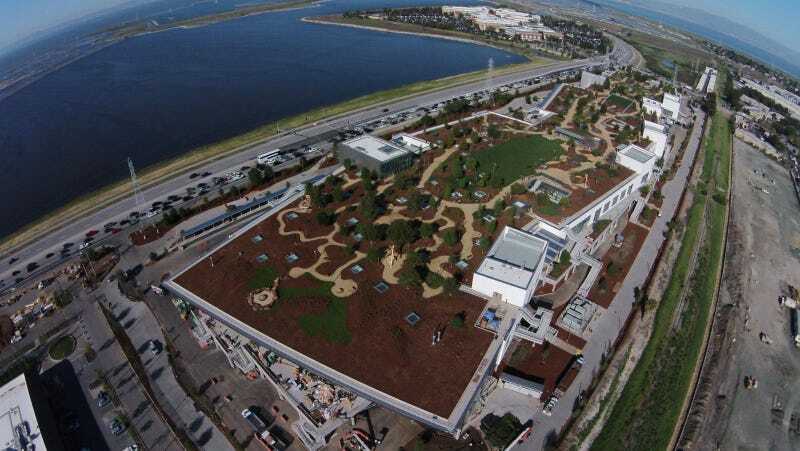 The only truly interesting part of the yawntown structure was the green roof, which, sadly, was only open to Facebook employees. Plus the structure blocked access to the Bay for anyone not welcomed within these sacred orange hallways. Facebook was not being a very good civic-minded “Friend”. 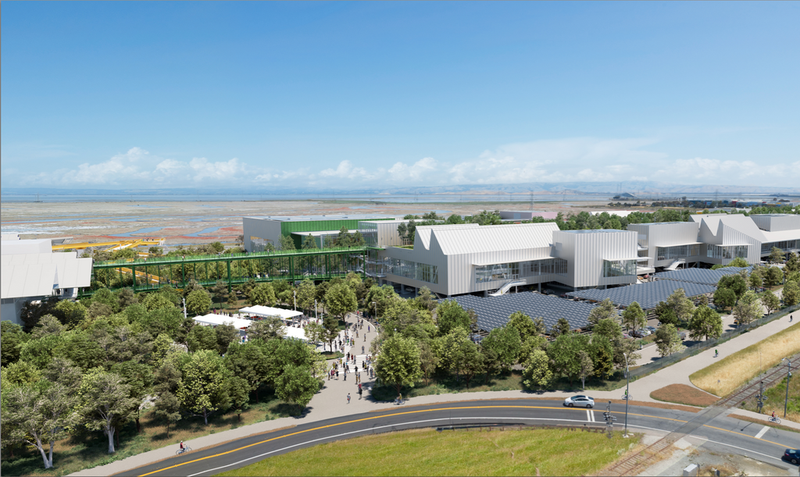 In fact, all of Facebook’s previous Menlo Park development has been for employees only, but that’s about to change, as Nathan Donato-Weinstein reports at the Silicon Valley Business Journal. 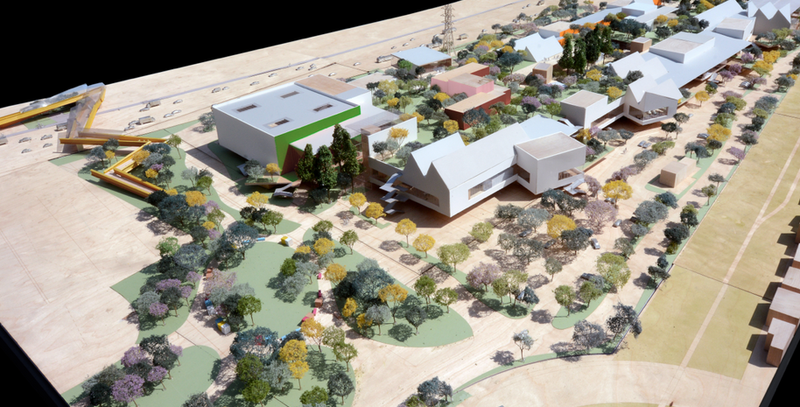 This week, Facebook presented the first renderings for its next big expansion to Menlo Park’s city council. Facebook is pitching the whole project as more open and permeable to the community—though such overtures have their limits, of course, given corporate security needs. The 22,900-square-foot public park, for instance, would host food truck and movie nights, a coffee kiosk, picnic area and lawn. Okay, that all sounds sweet! Nice move, Facebook! A thumbs up, if you will. 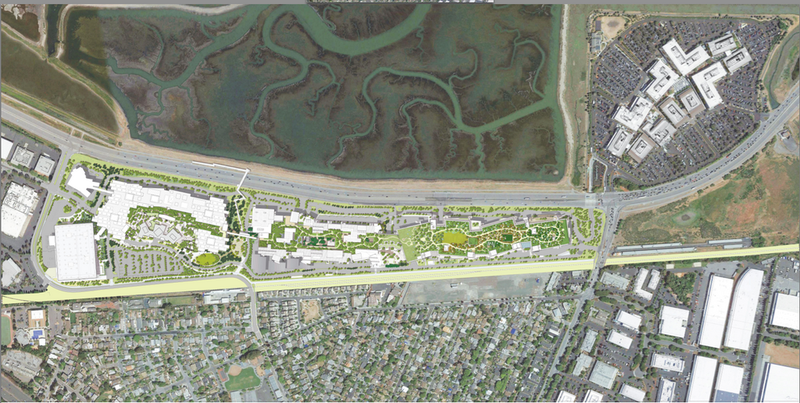 Take a look at this park, which will finally give local residents a direct path to the water. 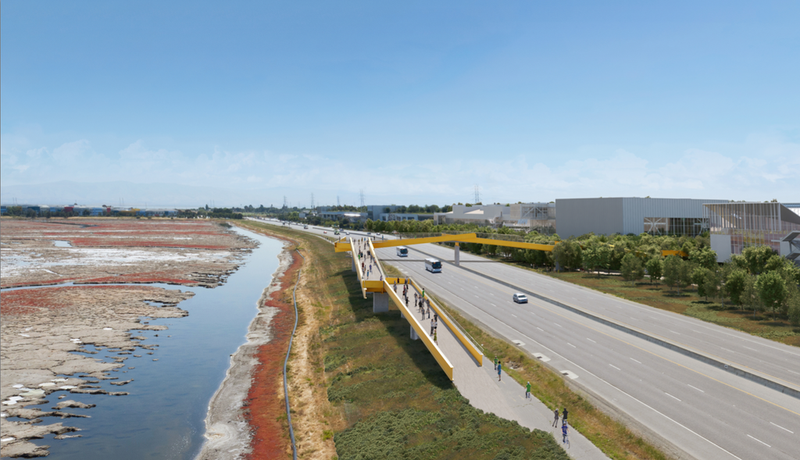 The bike bridge idea also sounds pretty handy, right? Except it doesn’t really look much like a bike bridge. It looks like a bunch of 2x4s tossed haphazardly across a roadway. Correct me if I’m wrong here but I’m not feeling too good about coming around a 30-degree turn while going downhill on a very narrow path where, apparently, pedestrians are just chillin’. I mean the more I look at this thing it feels like one of those Japanese bridges that are built with extra tight turns to trick the evil spirits that are following you into drowning.